Today I am writing this to you from Miami, Florida. I have started my vacation! I arrived in Miami safely and was picked up by relatives and then we all had a nice catch-up dinner with family at my cousin’s house where we are staying. It was especially nice for me because I only see my parents and brothers once a year at most, so seeing them as part of our larger (100+ people) is quite a treat! I’m looking forward to the rest of the week. Tonight’s photo is of the younger generation showing everyone a drone. 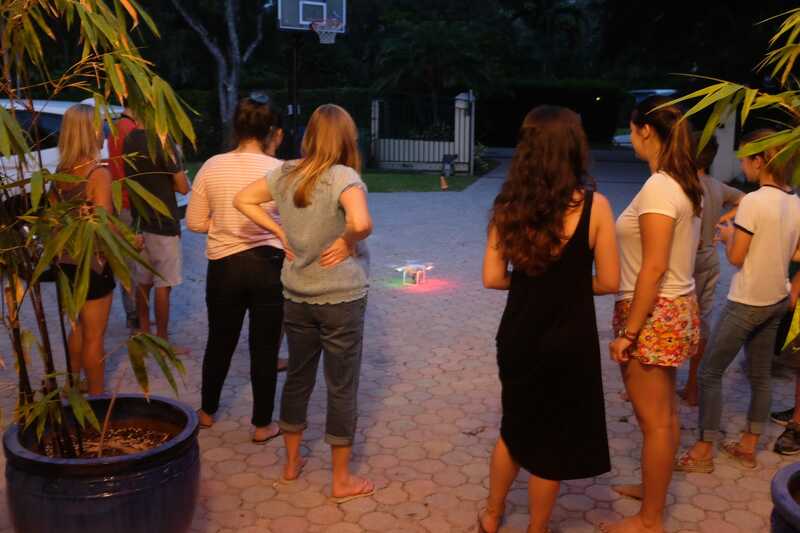 One of the boys just returned from Jamaica, where they used the drone to take aerial photography as part of their activities. It was really cool to see one in action! Fascinating to say the least! I hope you had a great day, and we’ll see you tomorrow!